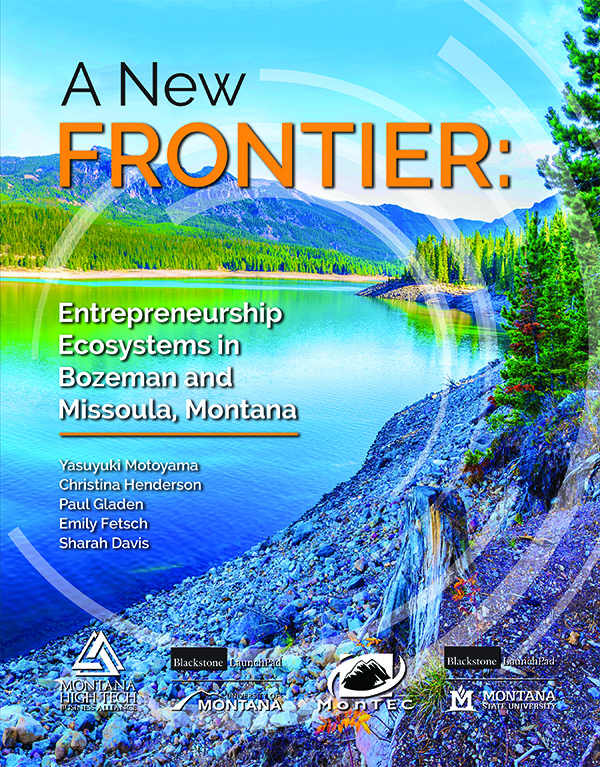 A report funded by the Kauffman Foundation was recently released, highlighting entrepreneurship in Montana and how it compares to other locations in the US. The report found that Missoula and Bozeman rank 9th and 12th highest in startup rates among 394 areas in the U.S., continuing a trend from the Kauffman Index of Entrepreneurship which found Montana has had the highest rate of startups per capita for four straight years. This report is unique, however, in that it did a close study of Montana’s ecosystem, noting what is working to strengthen the economic communities in our state. Along with Montana’s work ethic, quality of life, and beautiful outdoor opportunities, the report identified local support resources such as non-profits, government entities, the universities, and mentorship by successful entrepreneurs as key components to what has helped businesses get launched in the state. 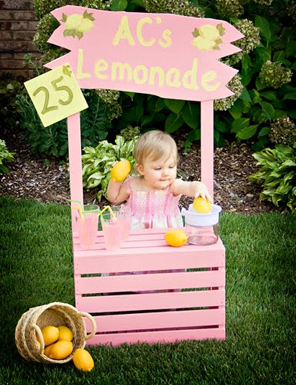 In addition, the success of some larger companies, like RightNow, has significantly contributed to entrepreneurial spinoff activities. In short, we’ve got what it takes. This is great news, and continued proof that you can start a business anywhere in Montana. Entrepreneurs are a driving factor in both our larger cities and smaller towns, creating high-paying jobs that allow people to live and work in this state we love. For more information on the recent report or to download a copy, visit the Montana High Tech Business Alliance website. Over the past few years, we’ve seen tremendous opportunity in manufacturing. In addition to providing high-paying jobs, Montana’s manufacturing sector has a worker shortage begging to be filled with skilled workers. While Montanans have the work ethic and desire to meet this need, the resources to do so are not as easy to come by. Susan and I saw a way we could help Montanans access the higher education they needed to enter into this workforce, so in the spring of 2015, our foundation created the Gianforte Manufacturing Scholarships. 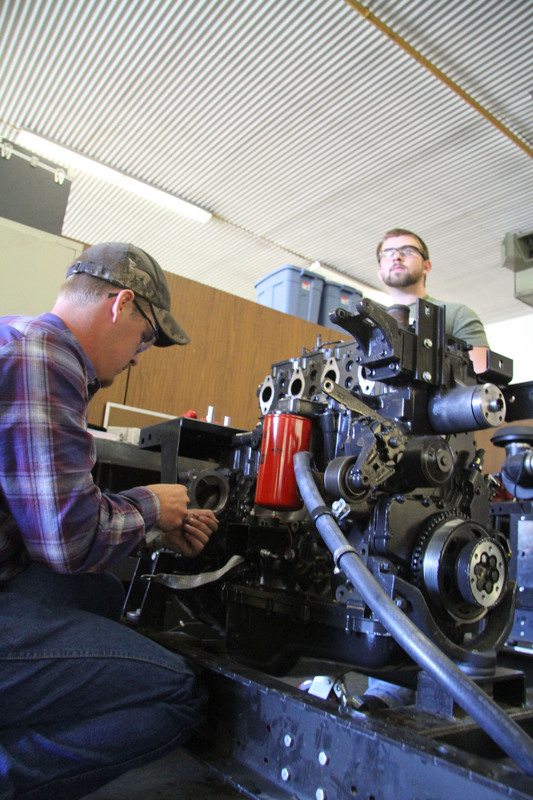 These scholarships assist lower-income students and veterans pursuing manufacturing or industrial education at a two-year college in Montana. But the real story here is not the scholarships. Rather, it’s the recipients and the companies who have benefitted from these newly-trained workers. Two years after the introduction of these scholarships, we’ve heard some inspiring stories. There’s the single mom who is achieving her dream of providing a better life for her son; the high school graduate who excelled at hands-on work but never took to the typical academia of a four-year college; the son who wants to follow in his father’s footsteps of being a welder; and the worker laid off from the oil fields who is seeking out a new path. To date, 699 manufacturing scholarships have been given to over 560 individual recipients. We’ve added on to our original two-year commitment with another commitment for 2017. Our hope is that even more people will be able to access these scholarships, and the life-changing opportunities that come from being able to pursue a dream that seemed out of reach. Did you know that Montana has hundreds of tech companies? These businesses are doing great things in our state, and the Montana High Tech Business Alliance has recently highlighted 15 companies to watch as the year goes by. Read their post here. 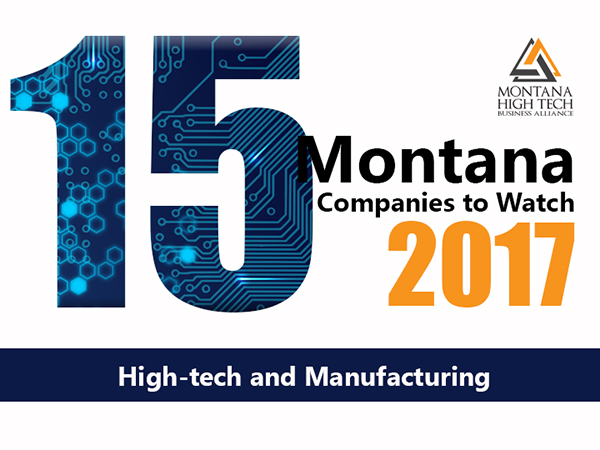 High Tech and manufacturing are some of the fastest-growing industries in Montana. These companies to watch are just a sample of the success stories of people creating high-paying jobs in our state, strengthening the economies of their families, communities, and Montana as a whole. Last fall, 16 Montana middle and high schools participated in a pilot of 3-D cinematic presentations, reaching almost 3,000 students. The programs were put on through an organization called Life Changing Experiences, which offers these presentations around the world to stimulate positive change in youth behavior. Schools visited include those in Shepherd, Lewistown, Plentywood, Choteau, Three Forks, Frenchtown, and Billings, to name a few. In addition to topics like bullying, safe driving, and drugs and alcohol, the presentations feature a film experience on entrepreneurship called License To Dream. Through a 3-D movie experience, interactive remote controls, and digital surveys before and after the show, students were exposed to the possibilities of becoming entrepreneurs and taught principles of being successful in business. Our foundation helped fund this pilot launch, and we are very happy with the results. Based on the pre- and post-show surveys, hundreds of Montana students gained information and insight from these presentations to feel ready to be entrepreneurs! Don’t just take my word for it though. You can view the video above to see the students’ own responses. If we can continue to instill this power to dream, and dream big, in our students, just imagine the flourishing Montana’s economy, and families, could enjoy once these dreams are put into action. Wyola elementary students attend a Looney the Robot presentation. Photo courtesy of Levi C. Flinn, Big Horn County News. In the fall of 2013, our family foundation funded a three-year program with MSU’s computer science department. We saw the need for more CS graduates in the state, and the opportunity that computer science presents for high-paying jobs and a stronger economy. With these objectives in mind, we created a three-pronged approach to introduce students to CS prior to college, anticipating that this will increase enrollment in CS majors at the college level. MSU’s Hunter Lloyd gave Looney the Robot presentations to over 200 K-12 schools in the state to encourage studying high tech at a young age. 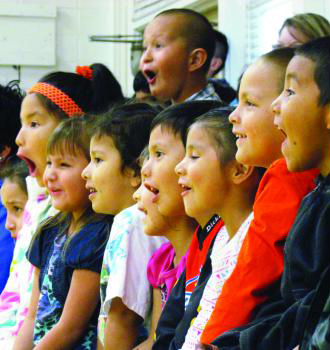 These assemblies reached over 31,000 students in Montana’s public and private schools. The Joy and Beauty of Computing class was taught at 5 public high schools around the state and is offered online at Montana Digital Academy. 225 students have participated in this course so far, many receiving dual-enrollment college credit. Four new high schools, both public and private, plan to incorporate this class in the near future. 27 Montana middle and high school teachers participated in a one-week, two-credit course in the Master of Science in Science Education program, where they learned the rudiments of computational thinking and were equipped to teach the Joy and Beauty of Computing to their students at their respective schools. Three years later, I am incredibly pleased with the results. At MSU alone, the number of CS majors has increased by 57%, with a record enrollment of 539 total graduate and undergraduates this fall. U of M’s computer science program is also reporting an increase in enrollees in their CS classes. I love that we’ve been able to reach so many students in Montana’s schools with this program. Presenting the field of computer science to over 31,000 students, along with providing 27 teachers and 225 students the chance to study computing, has yielded astounding success, but it is also only the beginning. It is my hope that we can continue to make strides to offer computer science in every high school, for every student, in Montana. Montana Code Girls, the youth initiative under Big Sky Code Academy, is a new program aimed at providing opportunities for girls and young women in Montana to develop their skills in the STEM fields. After a successful pilot earlier this year, this fall they will launch their first statewide after school program, a two-hour, twice-a-week class where girls ages 9-19 work with coaches and mentors from tech fields to learn coding. The class lasts the entire school year, and is FREE! Through a partnership with the Bozeman Public Library, the first location for the class has been secured in Bozeman, and Montana Code Girls is looking for additional locations across the state to host this after school program. It is based on the curriculum from the Technovation Challenge, a national competition where teams assemble to create web-based applications that meet a need in their community. In addition to the coding part of this program, the girls learn entrepreneurship skills like writing a business plan. With this first partnership now established in Bozeman, expanding across the state is a main priority. If you are one girl, or a group of girls, interested in coding and want to bring this to your community, contact the Big Sky Code Academy. All you need is a laptop computer and internet access, and they will work with you from there. Additionally, if you are a woman in the tech field and are interested in being a coach or mentor, contact them. A huge part of this initiative is showing girls the many women already working successfully in STEM fields, and giving them a chance to make those connections. This is a wonderful way to give more opportunities to the girls and young women in the state. There are so many great STEM jobs out there, and we can help our girls interested in those fields reach their full potential, by teaching them skills, providing them with examples of successful women, and helping them to build their dreams toward a good job, and a good future, right here in Montana. Agriculture is the top industry in Montana. Innovations in ag have led to high-paying jobs across the state. Along with the farmers and ranchers who work in this vital sector, there are numerous positions that support ag as a whole, providing not only a stronger ag community but good jobs in themselves. Fertilizer and crop protection dealers – There are experts trained in a variety of crop needs, who provide farmers with nutrition recommendations and products. Equipment dealers – These people have knowledge of both crops and the tools required to manage them from beginning to end. Researchers – Montana State University’s ag department provides crucial assistance to the farming community. Researchers study methods and diseases of plants, perform tests for the disease identification, and provide certification standards for seed production of small-grain crops and potatoes. 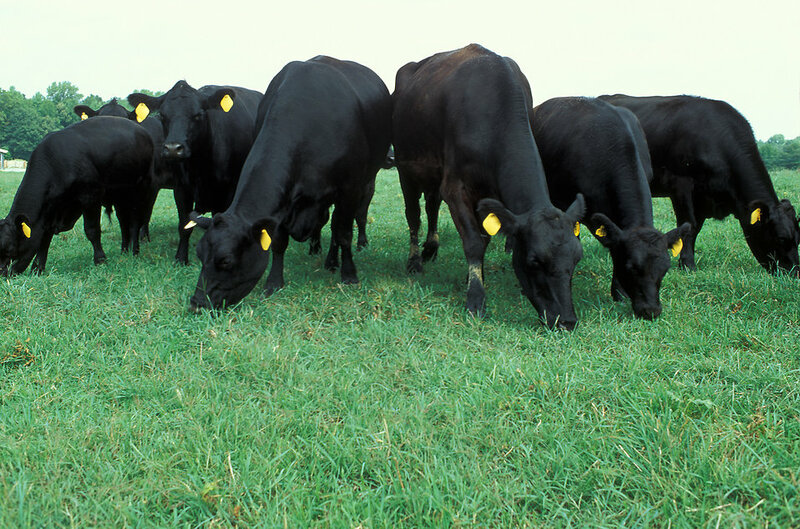 On the ranching side, veterinary medicine, feed nutrition, and genetics are key in research to aid the industry. Mechanics – With the options available in farming equipment these days, it’s no wonder that some larger farms have full-time mechanics that specialize in farm equipment. Technology experts – This is a specialized field dealing with yield mapping and GPS in farming. It’s a growing part of the industry that shows great usefulness, with experts that visit farms to analyze results or train farming staff. Marketing – There is an entire group of people, including buyers and packing houses, who work to move animals from the ranchers raising them to the consumers. Truckers – These men and women are an often-overlooked piece of the puzzle, transporting the animals and farming products around the state. Feeders – These jobs take care of feeding the animals between the buying and packing stage. Bankers and insurance agents – Friendly, understanding workers are essential for financing and protecting the assets, in spite of the potential risks of farming. Here’s a shout out to those who work so diligently in the agriculture community! Your work in all phases of the process is critical to this important industry and the jobs it creates in our state. ACE Montana Scholarships support Montana students and their families to choose the best school to meet their needs and goals. This past school year they awarded scholarships to 750 students in private K-12 schools across the state. While this funding enables students to attend a school that is the best fit for them, it also consequently provides increased funds for schools. Consider Missoula International School. They places great emphasis on integrating STEAM (Science, Technology, Engineering, Arts, Mathematics) educational opportunities into the classroom and after school activities. These skills are vital for success in the 21st century and critical to our collective future. Thanks to the increased enrollment ACE supports at MIS, they are able to offer LEGO® Robotics to their students beginning at age 5, in addition to computer coding and 3D design and printing. Earlier this year, nine students between the ages of 9 and 13 from MIS’s FIRST® LEGO® League Team (FLL) competed at the statewide FLL competition. There the team went through three rounds of judging, where they were judged on their robot design and engineering; their teamwork skills; and their research project presentation. 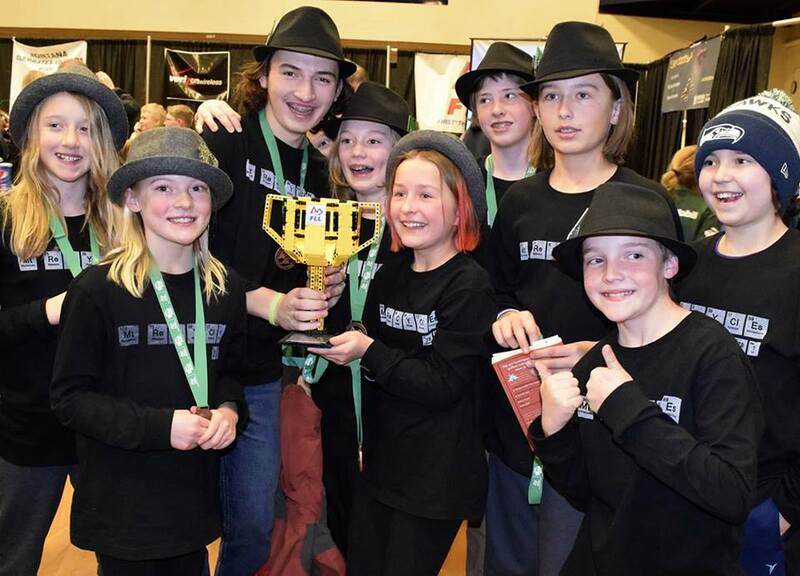 Their previous months of programming and problem solving paid off when they won the state championship after competing against 62 other teams from Montana. They were able to take their team to the international FLL competition in St. Louis, where they went up against 108 teams from around the world. It’s opportunities like these that equip our students with the skills they need to make a difference in the world and be successful in their respective fields. Giving them the education that is right for them is the first step, and ACE Scholarships is helping to do that. Visit acescholarships.org to learn more about what they are doing in Montana, and how you can play a part. Attendees at the Billings reception. Photo courtesy of Thomas Kurdy, Ndigena. 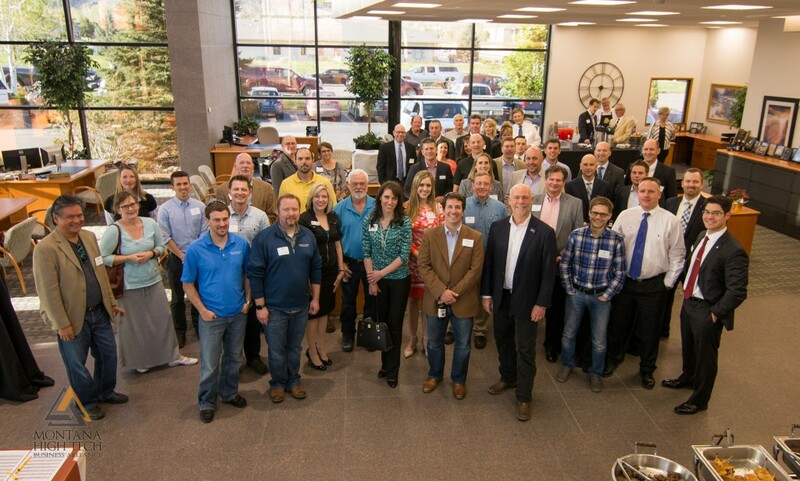 Last week I got to attend the Montana High Tech Business Alliance CEO Roundtable and reception in Billings. This was the first reception to take place in Billings, and it was great to see over 70 people assemble at Yellowstone Bank to network and discuss the workforce of the Billings community. Members travelled from Missoula, Helena, and Bozeman to attend the event, joined by Billings members and several Billings-area companies as guests. Since the reception the Alliance has already added new members in Billings, including Employee Benefits Management Services (EBMS) and Kampgrounds of America (KOA). Among the other attendees were representatives of higher education, including Rocky Mountain College, MSU Billings City College, the University of Montana – Missoula, and Montana State University – Bozeman. It was especially great to see computer science instructors from Missoula and Billings connect with one another. At the CEO roundtable, discussion focused on workforce attraction and retention, particularly the importance of company culture. In addition, Kathy Boelter, President of Arrow Solutions Group, and Brittney Souza, Director of BillingsWorks at Big Sky Economic Development, shared an overview of workforce development initiatives in Billings. The Montana High Tech Business Alliance is a statewide association focused on creating more high-paying jobs in Montana. Its members enjoy benefits such as networking with other high tech and manufacturing companies, increased visibility across the state, and an online jobs portal recruiting tool. The Alliance has done great things over the past two years, and I encourage you to visit their website and see how you can get involved.